Which Desserts Go With Pizza? 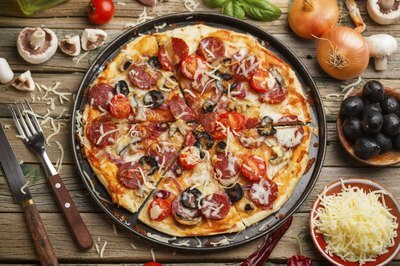 Follow pizza with a classic Italian dessert, a frozen treat, a creamy dessert for texture contrast or a light fruit dessert. The occasion and season offer inspiration on whether to go with a refreshing fruit kebabs or an over-the-top flourless chocolate cake, dripping with raspberries. As an antidote for pizza's strong flavors, offer each guest a fresh strawberry as a palate-cleanser before desert. Go with a classic Italian dessert to complement pizza. 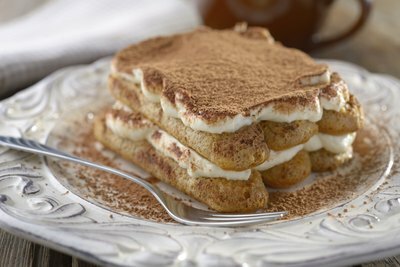 Bring home some tiramisu, lady fingers layered with delectable cream, or whip it up at home a day or two ahead -- or in less than two hours including chilling time. Offer a light finish to guests full of pizza with small plates of biscotti. These crisp cookies go well with espresso drinks or coffees and they travel well for a pizza picnic. Biscotti with anise have a subtle licoricelike taste and chocolate-dipped almond biscotti tend to be crowd-pleasers. 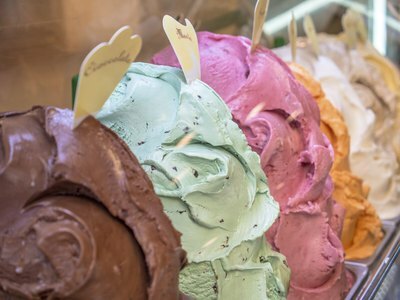 For a quick Italian dessert, opt for what the Italians call gelato: ice creams. In warm weather, Italian-style gelato makes a welcome cool-down after pizza. With basic ingredients including eggs, cream and an electric ice cream maker, make your own ice cream in only three hours, including freezing time and 30 minutes of work time. You can even put kids to work on this one. For children's parties, ice cream is always a hit. Neapolitan covers the bases for different tastes, or offer your choice of flavors. A tray of fresh seasonal fruit offers a refreshing sweetness that's light and welcome in summer. Arrange your choice of washed fruit, including figs, apricots, grapes and berries for a casual finger-food presentation that suits the end of a pizza meal. Drizzle lemon juice over cut fruits that are prone to discoloration, including apple, pear and banana. Keep with the casual pizza mood by presenting chocolate-dipped fruit kebabs. 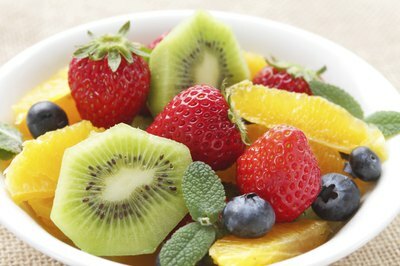 Fresh strawberries, sliced kiwi and mandarin oranges offer color and refreshing flavors. Alternatively, offer bowls of prepared fruits and chocolate fondue. A flourless chocolate cake covered with raspberries makes a memorable choice. It generally requires only five ingredients and less than two hours to make. 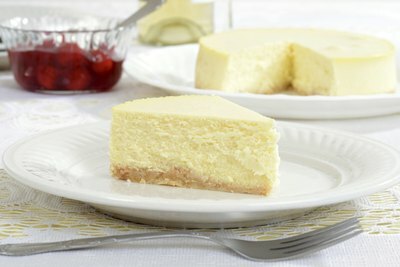 New York cheesecake, with its rich texture and distinctive flavor, can stand up to pizza and beer despite the risk of overindulgence. A no-bake cheesecake offers a quick option for a party on a busy day -- make it ahead to allow it to set for at least four hours. Put one together in about 35 minutes with a crushed cookie crust and a regular or low-fat cream cheese filling. Or, go for a fast and flamboyant finish. Pick up ready-made creme brulees and flame them at the table with a mini blow torch or a stove lighter. How Is Italian Ice Made?